Hassan Hussein Kochore writes about a ‘we shall return home’ narrative gaining traction in parts of northern Kenya. People are looking north to a post-Meles Ethiopia while worrying what the 2013 Kenyan elections will bring. In his seminal work on nationalism, Imagined Communities (1983), Benedict Anderson suggested that a feeling of national community is produced by the knowledge that all over the nation people are performing the daily ritual of reading the same newspaper. This idea is best captured in the name of our own Kenyan newspaper, the Daily Nation. 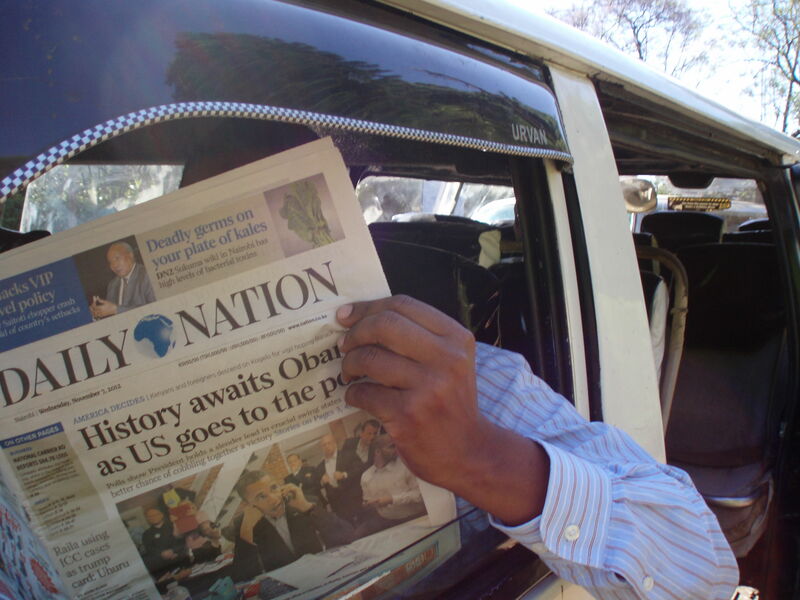 In Nairobi, one can take for granted the ease with which a newspaper can be obtained from the supermarket, roadside vendors, and hawkers in traffic jams or even by borrowing it from a fellow passenger in a matatu. Many matatus these days actually have a copy of the day’s paper and if you’re lucky enough to sit next to the driver, you can monopolize it. By the time you get to your destination, you’ll have read the whole paper for free!